Bahco 38 Nail Puller is an efficient tool for removing heavy nails from wood. 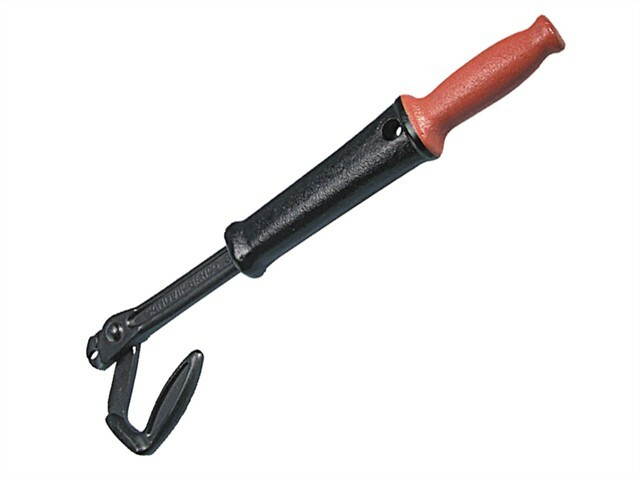 Has a malleable cast iron handle with heat treated drop forged jaws. The moving handle is slammed down to drive the jaws into the wood under the nail. Hand-grip at base to hold firm and avoid slippage.